What has come to be known as the prosperity gospel is mainly associated with contemporary Pentecostal teachings. Contemporary Pentecostals are distinguished from classical Pentecostals by their emphasis on the prosperity gospel with its focus on material things as indicators of divine favor. Today many other churches also preach variations of material prosperity, especially in Africa. There are aspects of it that focus on hard work and self-improvement, but by and large, the prosperity gospel promotes materialism rather the sort of fruitfulness described in Psalm 1 as the lot of those who walk in the counsel of the Lord. The prosperity gospel is based on certain selected portions of Scripture. The favored passages include: Deuteronomy 28:1-14, Galatians 3:14, and 3 John 2. The prosperity gospel simply teaches that believers in Jesus Christ, as part of their heritage from God in this life, are entitled to certain spiritual and physical blessings by right. This teaching has in Africa led to young people terminating employment prematurely to start their own businesses, and young pastors seceding to start their own ministries. There have been some successes but the casualties have also been quite high. What raises concerns among evangelical Christians in particular is the emphasis of this gospel on material things as prime indicators of faithful Christianity. This message has attracted concerns because of its proof-texting hermeneutics—holding a position on issues and looking for biblical passages to justify it regardless of context—that leads to the neglect of fundamental Christian themes such as a sound theology of the cross. The appeal to Scripture explains why the prosperity gospel is sometimes referred to as biblical prosperity. Its problem is not with using Scripture to empower hearers to believe God and do something about their circumstances in life. Indeed, there are parts of this message that may be considered empowering, but they pale into insignificance compared to the heretical aspects that present luxurious and extravagant living as the right of faithful Christians. Even more disturbing is when, in outlining the principles of prosperity, Jesus Christ is cited as having lived a materialistic lifestyle by the choices he made in life. The prosperity gospel finds it difficult to deal with pain and disappointment. It leaves many church members without testimony because their material circumstances do not reflect the blessing of a God who is there to privilege his children by favoring and prospering them as long as they pay their tithes and offerings. The dynamism of new evangelical movements such as contemporary Pentecostalism have attracted a significant following in Africa. This means generations of young Christians are growing up with a prosperity mindset that suggests that we can bypass the challenges of everyday life if we apply principles of prosperity. In responding, care must be taken not to demonize wealth and material blessings. There are communities in Africa in which, by coming to Christ, people have been helped to save money for constructive purposes. It is materialism that needs to be condemned and not the material blessings obtained through hard work. The propagation of the prosperity message raises a major challenge for Christian mission in our time, especially because many upwardly mobile young people are attracted to its promises. Current missionary enterprise and theological study must continue to articulate solid responses to a gospel that sounds fascinating but is alien to the values upheld by the Lord of mission, Jesus Christ. The prosperity gospel simply teaches that believers in Jesus Christ, as part of their heritage from God in this life, are entitled to certain spiritual and physical blessings by right. Deuteronomy 28:13a for example says: “The Lord will make you the head and not the tail.” Whatever this may have meant to Israel at the time, it is interpreted to mean that, wherever a Christian finds himself, he must be the person in charge. This teaching has in Africa led to young people terminating employment prematurely to start their own businesses, and young pastors seceding to start their own ministries. There have been some successes but the casualties have also been quite high. What raises concerns among evangelical Christians in particular is the emphasis of this gospel on material things as prime indicators of faithful Christianity. This message, which is now proclaimed in churches and through media ministries, has attracted concerns because of its proof-texting hermeneutics—holding a position on issues and looking for biblical passages to justify it regardless of context—that leads to the neglect of fundamental Christian themes such as a sound theology of the cross. The payments of tithes and offerings and giving of material gifts to Christian leaders in anticipation of returns from God is also known as the principle of sowing and reaping. It is believed that both positive confessions and Christian giving are things that a person sows for which the appropriate bountiful returns must be expected from God. A careful study of the prosperity gospel shows that it uses the Bible and the lifestyles of its exponents to idolize power and pride; popularity and success; and wealth and greed.4 Perhaps one way to see the dangers of these idols is to understand how Jesus denounced these options when the devil presented them to him at his temptation. In the quest for the abundant life that Jesus promises, it is not wrong to use the resources that God provides in the struggle against evil. God’s reign in Jesus Christ does not promise eschatological hope to the neglect of existential or this-worldly blessings. In Africa there is a strong belief in the power of supernatural evil. At prayer meetings, people are taught to invoke curses upon their enemies—perceived and imaginary—simply because the prosperity they have been taught would come sometimes eludes them. 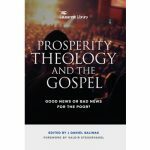 Further, the emphasis on material prosperity as a sign of Christian faithfulness leads to a tendency to look on the materially poor as people without a firm testimony of divine blessing. On the whole, the images of prosperity touted by the new Pentecostals heavily favor the wealthy or those already on their way up. Jesus dealt decisively with human distress and the evil powers that brought it about. However, cursing or asking God to destroy actual human enemies, as those looking for prosperity are taught to do, amounts to a search for vengeance that both Jesus Christ and Paul warned against (Rom 12:1-21). In responding, care must be taken not to demonize wealth and material blessings. There are communities in Africa in which, by coming to Christ, people have been helped to save money for constructive purposes, with families rebuilt and resources no longer wasted on wild living. It is materialism that needs to be condemned and not the material blessings obtained through hard work. There is such a thing as godly prosperity within Christianity and it means far more than material blessings. Christian giving—in tithes, offerings, or gifts to others—must be understood in terms of Christian worship. We respond to God in worship for what he has done for us in Christ and trust him for his grace. Giving must not be treated in a formulaic manner in which we seek to bend God’s will toward others. Based on what Jesus did on the cross, the appropriate response to hurt from one’s enemies is to extend forgiveness and not to resort to imprecatory prayers. Jesus’ own response to hatred was ‘Father forgive them for they know not what they do’. God wants his children to prosper and enjoy his creation. In the Old Testament in particular, wealth is a blessing from God—and those who have it are not only expected to acknowledge him as the source, but also to take care of the poor. The biggest problem of today’s prosperity preachers is their hermeneutics. Their proof-texting leads to the idea that Jesus wore designer robes because his robe was seamless and that the donkey on which he rode to Jerusalem was the most luxurious vehicle of his day. The reliance on proof-texting hermeneutics has not allowed critical engagement with passages in which Jesus and the Bible call for forgiveness and prayer for enemies rather than their destruction. 1 David O Oyedepo, The Healing Balm (Lagos: Dominion Publishing House, 1996). 2 Duncan-Williams, Destined to Succeed, ii. 3 Jim Bakker with Ken Abraham, I Was Wrong: The Untold Story of the Shocking Journey from PTL Power to Prison (Nashville: Thomas Nelson, 1996); Prosperity and the Coming Apocalypse: Avoiding the Dangers of Materialistic Christianity in the End Times (Nashville: Thomas Nelson, 1998). 4 Chris Wright, ‘Calling the Church Back to Humility, Integrity, Simplicity’, Julia E M Cameron, ed, Christ Our Reconciler: Gospel, Church, World (Downers Grove, IL: InterVarsity Press, 2012), 151-153. 5 Femi Adeleye, ‘The Prosperity Gospel’, Julia E M Cameron, ed, Christ Our Reconciler: Gospel, Church, World (Downers Grove, IL: InterVarsity Press, 2012), 161. 6 David J Bosch, Transforming Mission: Paradigm Shifts in Theology of Mission (Maryknoll, NY: Orbis Books, 1991), 33.  7 Editor’s Note: Videos from the Lausanne Global Consultation on Prosperity Theology, Poverty and the Gospel, held 30 March – 2 April 2014 in Atibaia, Brazil, at which J Kwabena Asamoah-Gyadu was one of the presenters, are available.